Since childhood, Alison has lived in a perpetual state of looking forward to the next opportunity to bring moments of joy into the lives of guests, family, and friends through gestures of hospitality. Born in San Francisco and bred in the bed and breakfast that her parents ran out of their home, Alison was raised to provide and deeply appreciate the impact of service and the art of hospitality. After trying her hand in the kitchen and realizing quickly that cooking was destined to be a beloved hobby rather than a fruitful career, she pursued a business degree from Cornell University’s School of Hotel Administration. Recruited by Daniel Boulud’s Dinex Group immediately after graduating, Alison served in an operations-heavy leadership role that was intensely focused on executing successful restaurant openings and managing large-scale creative projects. Sunshine, family, and perfect produce brought Alison back to the Bay Area. 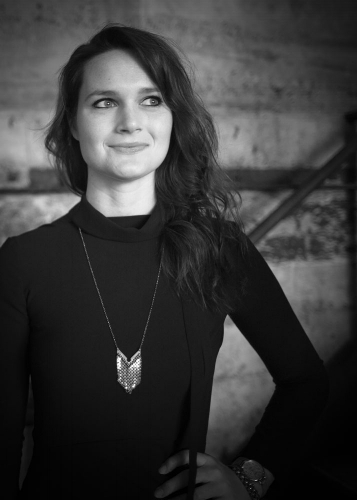 Leadership positions at the Delfina Restaurant Group led her to join the opening team of The Battery as their Director of Food and Beverage, where she was charged with bringing multiple dining and bar concepts to life alongside one of the most prestigious event programs in the city. Alison’s passion for leading like-minded hospitality businesses to sustainable success inspired her to found Salt & Roe in 2014. In support of that mission, she authored her first book, "How to Open a Restaurant”, in partnership with OpenTable in 2016. She also serves on the Board of Directors for La Cocina, a non-profit organization that provides industry-specific technical assistance and access to market opportunities for low income women looking to launch, formalize, and grow their own food businesses. An experience maker by title and trade, Kimberly’s passion for hospitality has led her to the Bay Area, where she has worked as a food and beverage professional developing winery, restaurant and experiential retail concepts while living out her culinarian fantasy of converting her Sausalito garage into her very own speakeasy-chic wine cave. As an advocate for elevated dining experiences, Kimberly is also the co-founder of the Crop-to-Kitchen community, an activist movement focused on lifting ingredient prohibitions and creating legal pathways for chefs to cook, serve and sell cannabis cuisine in California. Born in Buffalo, Kimberly studied drama at New York University and was awarded an MA in American Studies from the University of London, before embarking on a teaching career as a tenure-track writing professor. She left academia after a hunger to eat, cook and write her way through New York City led her to open The Naked Bakery and The Dinner Belle catering company there in 2007. With her signature recipe for gourmet meets girl-next-door, Kimberly worked as an executive chef and food writer, authoring an eponymous blog, dozens of dining and travel articles, and a food-forward TV pilot produced by the creators of Top Chef. 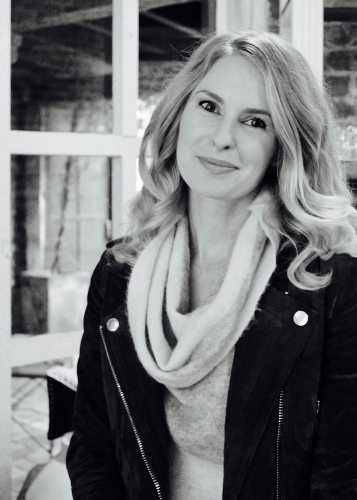 Recruited by Restoration Hardware to evolve the Ma(i)sonry Napa Valley wine collective into a national retail brand, Kimberly’s role grew to oversee all F&B operations as Director of Food and Beverage at RH, where she developed and launched the 3 Arts Club cafe, wine vault and coffee shop at RH Chicago. Her blueprint for experiential retail concepts designed to blur the lines between home and hospitality have been replicated inside RH galleries internationally. Kimberly’s next mission offered her the opportunity to craft a food and beverage lifestyle brand as the VP of Hospitality at Crate & Barrel. It was at Crate that Kimberly had the good sense to hire Alison, who later invited her to join Salt & Roe, where together with business leaders across the country, they endeavor to continue creating brands, elevating experiences and cultivating cultures of hospitality. Care, quality, and love are at the center of all Adam practices and achieves. A born and bred New Yorker with a love for travel and a palate to match, Adam has been dedicated to hospitality since his days of crafting elaborate breakfast menus for his grandma at the age of eight and spending weekends playing sous chef under his father’s command in the kitchen. His love of food and genuine hospitality led Adam to pursue a dynamic hospitality career, supported by a formal culinary arts education from The French Culinary Institute. An unwavering passion for human development lead him to be certified as an integral life coach by New Ventures West in San Francisco, an intensive training program focused on effecting long lasting, self generating positive change within individuals and organizational structures. From the East Coast (New York, Palm Beach) to the West Coast (San Francisco) and beyond (Maui, Kauai), Adam’s vision for excellence in all things was clear: work incredibly hard for the best leaders, observe, listen, be humble, and never stop learning. This philosophy carried him from lead service roles at the Ritz Carlton and Daniel Boulud’s Dinex Group, to a natural progression into front of house management roles at Michael White’s celebrated Marea and Nancy Oakes’ famed Boulevard restaurant in San Francisco. This depth of service experience and leadership training lead him to the opening of another Altamarea property as the General Manager of Vaucluse on Manhattan’s prestigious Park Avenue. Here Adam was charged with recruiting, training, and leading a dynamic service team while innovating a uniquely positive work culture that focused entirely on personalizing the guest experience. His overarching desire to cultivate and drive organizational culture and the joy that comes from building a winning team from the ground up, brought him to Salt & Roe. Here, he ties together years of service experience, knowledge of human development, and an inherent ability to inspire.